Looking for an interesting alternative to flowers, chocolates or jewellery? Have you thought of cheese? 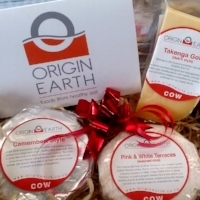 We have fabulous Gift Packs in our Online Shop – includes a card with your personalised handwritten message – that we can send anywhere in New Zealand. Check them out now.